OWON: The boys test out new weapons of death in Syria and it will expand soon. These will be appreciated by Syrian ground troops ...and hated by the ISIS / illegal US Contractor opposition, as their losses will grow. Iran will soon reverse engineer a model no doubt. 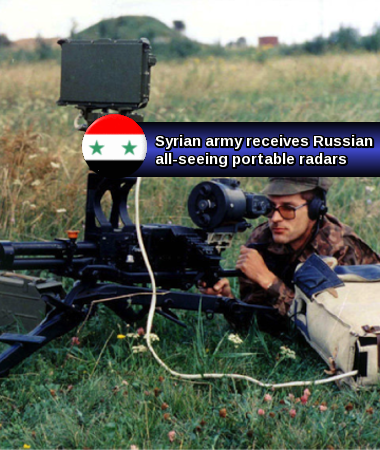 Another Russian invention has been added to the arsenal of Syrian government forces. 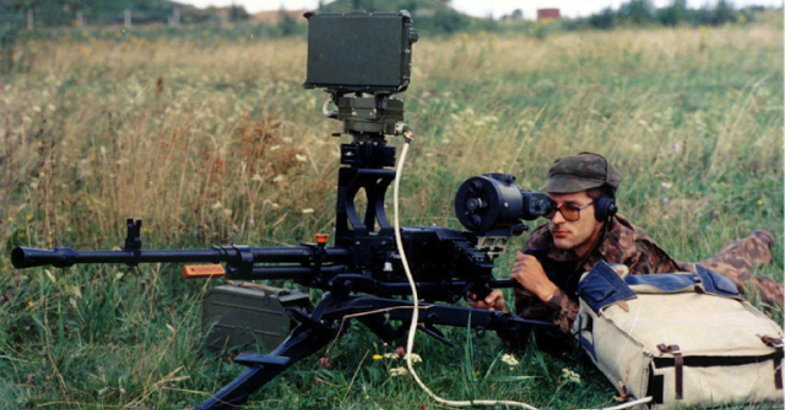 That is a close range reconnaissance radar station "Fara-1" that allows you to track and to destroy the enemy at any time of the day in the absence of optical visibility. The device, according to the "Vestnik of Mordovia", entered into the service of a number of divisions. This device consists of an antenna which is mounted on a machine gun or a grenade launcher. With this "all-seeing eye" soldiers can easily detect terrorists at a distance of 2 kilometers. The radar is able to see a tank or a car at the 4 km range. The enemy cannot hide from its gaze, even in the darkest night. The radar works effectively in precipitation, fog, smoke and dust, which is especially important for the Syrian deserts. Battery charge of the antenna lasts for six hours. In general, "Fara-1" has passed through several hotspots and has worked well.